Almost at the same time that the American Civil War was taking place, another kind of civil war was occurring on the other side of the world. The Taiping Civil War, also sometimes referred to as the Taiping Rebellion, took place in China, beginning in 1850 and not ending until 1864, though skirmishes continued into 1871. The two sides were the Qing dynasty and an opposition state known as the Taiping Heavenly Kingdom. In terms of a rebel force intending to overthrow an established government, the Heavenly Kingdom was impressive. They were highly organized and followed a very strict way of life. Led by Hong Xiuquan, the opposition state was aligned with a version of Christianity that most would find unrecognizable today. 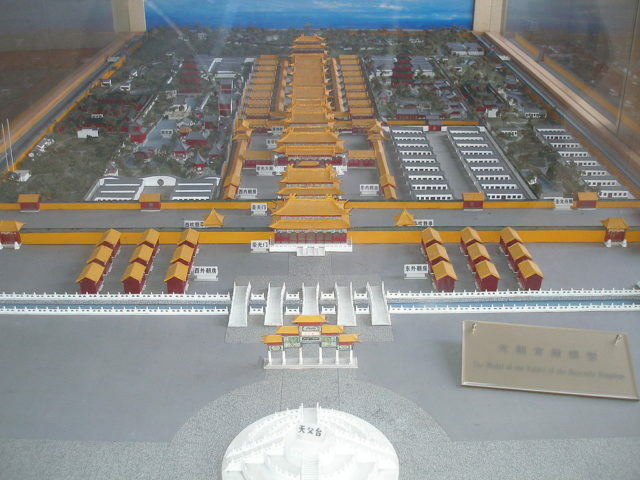 The kingdom was located in southern China and contained as many as 30 million individuals at its height. While this sounds impressive as far as numbers, and relatively normal, as many a war has been fought thanks to religion, particularly Christianity, things became a little crazy later on. This is especially true when Hong Xiuquan announced he was the younger brother of Jesus and demanded that all Buddhists, Confucianists and any who practiced a local religion leave the area under his jurisdiction. During this time, Christianity was a relatively new concept in China. European missionaries were traveling to important cities and translating the Bible into local languages amid persecution. The earliest Chinese converts were either arrested or forced into exile. However, they then began adapting Christianity to fit into the Chinese frame of reference, lessening its threat. Hong Xiuquan was a recipient of one of these adapted versions, which he further changed (after claiming he had a prophetic dream) to fit his needs. He took some pieces of the adapted Christianity very literally and denied some parts of it altogether. He soon discovered that if you claim you’re the second son of God, you’ll find at least a few people to follow you. It only makes sense that a dissenting party arose after the various troubles the Qing dynasty had during the past decades. They lost the First Opium War to the British. The economics weren’t great. People lost their jobs. Natural disasters were making everything worse. When things go badly, it’s natural that citizens start to look for someone or something new to follow. Only, in this case, 30 million decided to go follow someone who was not only displacing a large number of Chinese residents, but also proclaiming his self-assigned deity. His goal? To overthrow the Qing dynasty and lead his people to a better and brighter future. Xiuquan set up a wide array of new rules for his people to follow, many of which were quite revolutionary for his day, and very different from society under the Qing dynasty. Private property was no longer permitted, and all land was distributed by the government. All genders were pronounced equal, but were also separated to an extreme extent. While women could fight in the army, they had their own regiments, and the two genders could never live together under any circumstances. Sexual relations were prohibited. Death penalties were in place for things such as drinking alcohol, gambling, and smoking tobacco. The rebels also had their own currency, with minted coins and paper notes. 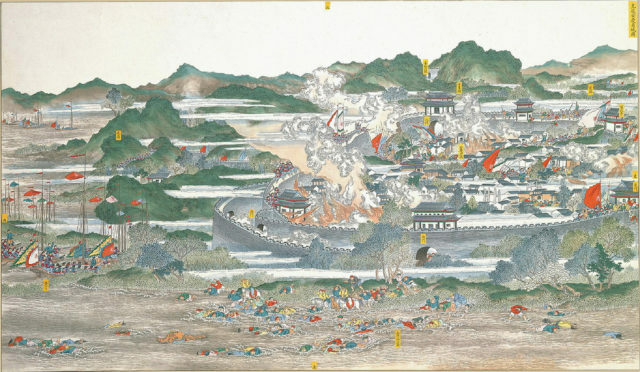 The first clash occurred in 1851, when Xiuquan sent 10,000 soldiers to route and defeat a small band of Qing soldiers. 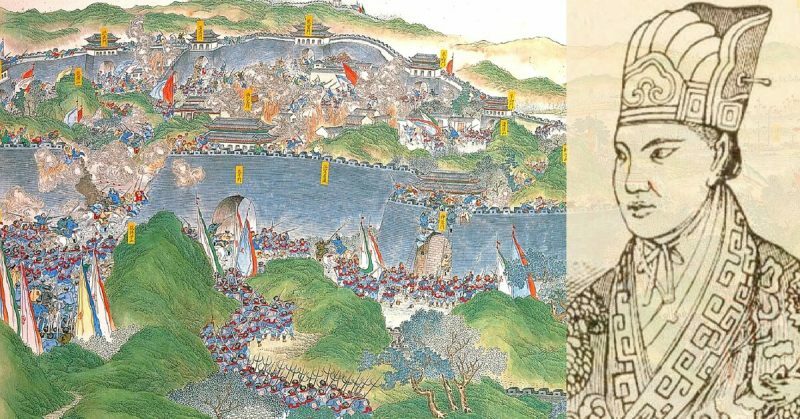 The victory greatly encouraged Xiuquan and his forces, and they moved on to bigger and better things. In 1853, they even managed to capture an entire city, Nanjing. 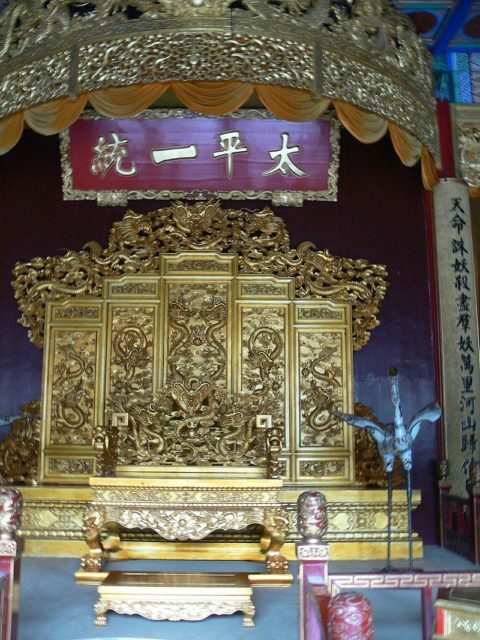 They renamed it their Heavenly Capital and Xiuquan changed the viceroy’s office into his own personal palace. They also took control of the Yangtze River, for easy supply and easy upriver military movements. At a later point, they attempted to capture Beijing, but the troops returned unsuccessful. 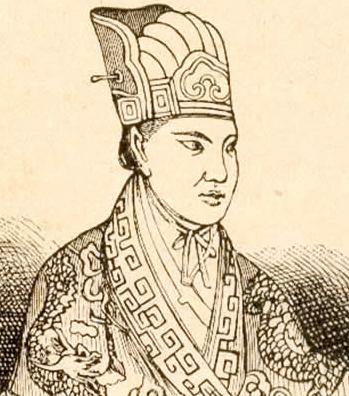 Xiuquan, after two years of active military leadership and control of his people, began to focus more on the religious aspects of his life, as he also grew increasingly more paranoid. He started to suspect those closest to him to be doubtful of his leadership skills, and started killing off those who threatened his power. However, with Xiuquan mostly concerned with his own personal matters, the basis of his operation’s growth and existence was left to others. Officials attempted to gain more followers from the middle classes and the Europeans, though they were not successful. The Europeans preferred to stay out of the entire ordeal, and the middle classes disliked Xiuquan’s strict rules and religious beliefs. Military actions continued during this time, with several other important cities taken, including Hangzhou and Suzhou, but after failing to take Shanghai, things took a turn for the worse. While initially it was thought that Xiuquan’s followers could easily take Shanghai in 1860, the troops were forced back by not only the Chinese armies, but also the Europeans, who were now on the dynasty’s side. Even though the rebels put their trust in their faith, that it would deliver their military victories, this was obviously not what happened. The Qing dynasty began to take back its land, and by 1864, had almost successfully done so. After a bloody skirmish at the Heavenly Capital, the Taiping Heavenly Kingdom was no more, though some remnants of troops continued to fight at various intervals as late as 1871. Most of the leaders were executed after the fall of the Heavenly Capital. However, while the Qing dynasty did experience an impressive victory over the years it took to completely wipe out the Heavenly Kingdom, none of the original issues that created a breeding ground for rebellion in the first place were resolved. The economy suffered even more due to the war, rural areas were destroyed, many lost their livelihood, and many citizens died.